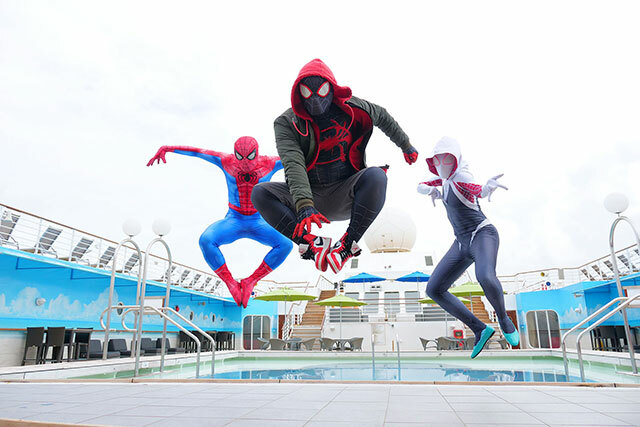 Genting Cruise Lines is teaming up with Sony Pictures to deliver the first-ever Spider-Man: Into the Spider-Verse-themed experience at sea, featuring lead characters from the new superhero film which will be released in theatres this December. From 14 November 2018* to 31 January 2019, guests can enjoy limited-edition afternoon tea sets, interactive activities, “Spider-Man: Into the Spider-Verse” themed decoration and more during their journeys on board five select Dream Cruises and Star Cruises ships. Spider-Man: Into the Spider-Verse is the new Spider-Man film by Sony Pictures that follows the journey of Miles Morales, a teenager with superpowers who learns to unlock his hero within. A series of thematic interactive programs inspired by the film have been designed to engage guests through an immersive journey at sea, where they will be inspired to unlock their own potential via different challenges that will test their agility, courage, brainpower and creativity. Fans of Spider-Man won’t want to miss the chance to cruise with Miles Morales, along with his mentor Peter Parker and Spider-Gwen. In addition to meet-and-greet sessions, the superheroes will be out and about throughout the cruise for surprise encounters when least expected! Guests will also be treated to exclusive themed experiences at sea including an up-close viewing of Spider-Man’s signature moves during spectacular acrobatic performances, as well as limited-edition thematic afternoon tea sets featuring Spider-Man inspired delicacies, complete with a special souvenir of the Spider-Man: Into the Spider-Verse 3D cup (on first-come first-served basis). For the festive season, be one of the lucky few to celebrate Christmas with Spider-Man, who will don Santa‘s hat and lead his troop of little helpers all over the cruise ship bearing gifts! After an eventful day of Christmas feasts and treats, kids can look forward to bedtime stories with Spider-Man, as well as a cinema at sea screening of Spider-Man: Homecoming, winner of the Teen Choice Award 2017 for Choice Summer Movie.